AMD finally announced the release date of its powerful AMD Radeon Vega VII. The graphics card AMD first unveiled at CES 2019 will reach the market next month. The card features 60 Compute Units (with 3840 Stream Processors), and 16GB of HBM memory. In short terms, we can think of the AMD Radeon VII GPU as a better graphics card than the Nvidia RTX 2060. In fact, AMD assures the Radeon II is even faster than GeForce RTX 2080 in most games. It means it will deliver more frames per second (fps) and better display qualities. AMD Radeon VII GPU. Source: Wccftech. The “Vega 20” has a second generation Vega architecture. 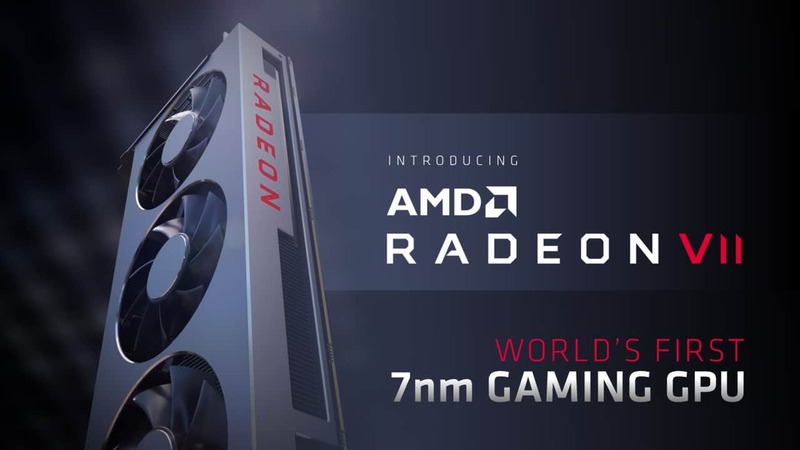 AMD build the card with its 7nm node, so it’s indeed the world’s first 7nm GPU. More so, the Vega 20 is a tiny card: the GPU itself is 331 mm2 in size. It means it is 164 mm2 smaller than its predecessor, the Vega 10. AMD’s revolutionary gaming 7nm graphics card has a clock speed of 1450 MHz. The peak frequency of the chip is 1800 MHz. Furthermore, the clock enables 13.8 TFLOPS of max theoretical single precision performance. The Radeon VII GPU vanilla design comes with three cooling fans and a dual 8-pin power connector. The unit ships with three DisplayPorts and one HDMI output. If you are thinking of building a PC with the upcoming AMD chip, maybe take a look at the best 2019 motherboards and the best 2019 cases. The Radeon VII reference design is equipped with three fans and dual 8-pin power connectors. This model comes with three DisplayPorts and a single HDMI output. The VII is also a lost above the RX Vega 64 GPU, and it’s 29 percent faster than Nvidia’s RTX 2080 graphics card. Vega 20 is the GPU inside the Radeon VII piece. The Vega 20 is a shrunken version of the Vega 10 within the Vega 64, built on 14nm process nodes. The new 7nm lithography enabled AMD to significantly boost the clock rate from 1546MHZ in Vega 64 to 1,800 MHz in the VII unit. The new card also has an upgraded memory subsystem: it has a 16GB clocked 2GB/s and a 4,096-bit bus compared to 8GB clocked at 1.89GB/s with a 2,048-bit bus. In total, the Radeon ViI has a total of 1TB/s memory bandwidth. However, it does lack something its predecessor has: it only ha 60 compute units (or 3,840 stream processors), while the Vega 54 had 64 (4,096 stream processors). AMD claims the card matches and even surpasses RTX 2080 in some games like Battlefield V, Far Cry 5, or Strange Brigade. However, VII doesn’t have RTX 2080’s ray tracing support, so it means it will be more power hungry. We expect the card will need about 295-300W. Still, the graphics card will be good enough for 4K gaming. 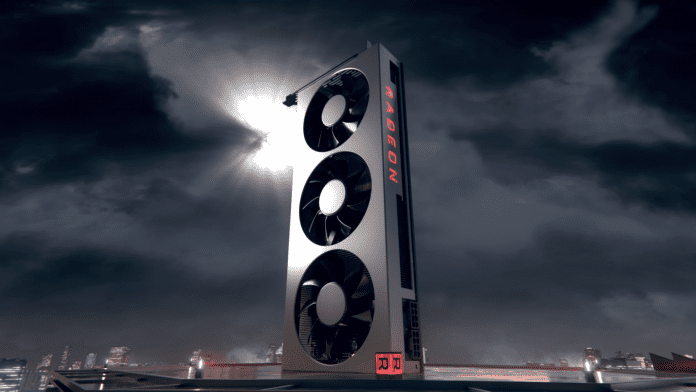 AMD Radeon VII launches on February 7 with the hefty price tag of around $600. AMD will sell a version of the card separately, but there will be other versions coming from third-parties as well. For example, you would be able to buy versions shipping with Resident Evil 2, Devil May Cry 5, or The Division 2. Next articleIs Nintendo working on a Legend of Zelda: Breath of the Wild sequel?